It's rare that product packaging can communicate a product's key selling point as clearly as this. 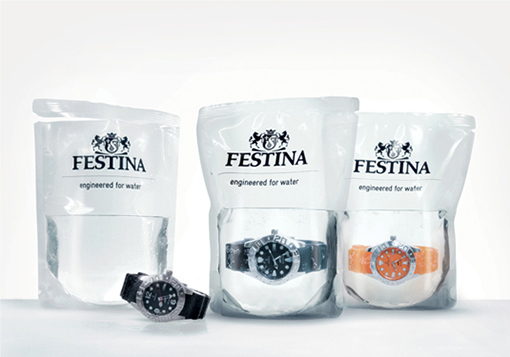 These watches were sold in bags of distilled water. It's simple and strangely minimalistic too.